The Association of Dermatology Administrators & Managers is a nonprofit organization that serves as a resource to dermatology practices nationwide. ADAM members receive access to continuing education opportunities and the ability to network with experts in managed care, practice management, finance, jurisprudence and ethics and coding. Gives ADAM members access to all recorded webinars through 12/31/2019 (if purchased after October 15, 2018), for the low price of $149.00. 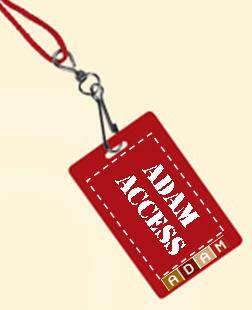 Non-members can also purchase the ADAM Access Pass for $249.00. Headquarters works with the Communications Committee to create and distribute a bi-monthly newsletter to its members. 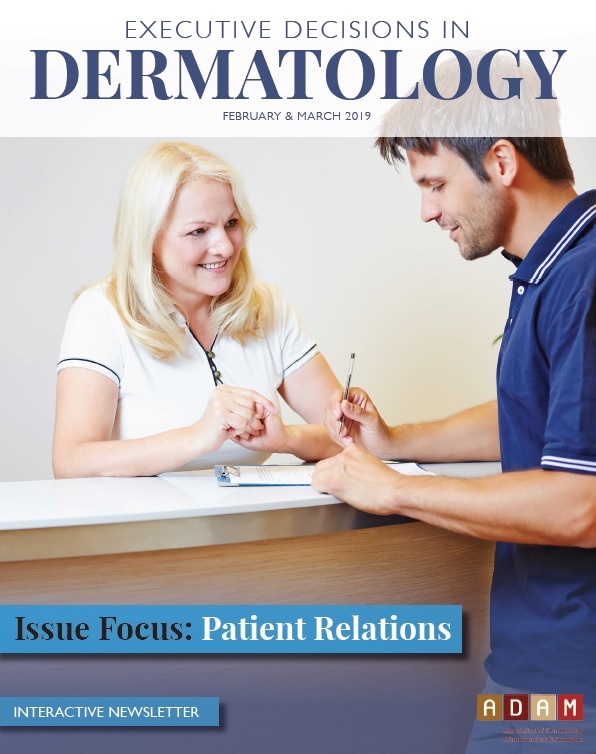 The Newsletter includes a President’s Corner, upcoming ADAM events and articles relevant to your dermatology practice. The Newsletter is distributed via email with copies posted on this site under our "Members Only" section. ADAM members have access to dozens of forms they can download and print! Some examples include employee information forms, job descriptions, financial policies, informed consent papers and treatment logs! ADAM Members can access the online directory of members at any time. ADAM Intel is ADAM's weekly news created at the request of ADAM members to keep them informed yet not overburdened with too many emails. The resource library is for ADAM members to read articles on topics that will help them and their practice. These articles are tagged by topic. ADAM’s social media activities have been a huge success in increasing member communication and developing relationships with vendors. ADAM uses Facebook not only as a fan page, but also as a way to keep ADAM members updated on what is going on in the dermatology world and in the Association. It has two functions, first as a company page where announcements can be made to people/groups that are following ADAM. Second, there is a private, members-only group offering members a private forum to ask questions, trade forms and documents, and stay up to date on what other practices are doing. @ADAMHQ is maintained by Headquarters, which creates a great online presence through tweeting out information. ADAM often receives Retweets from large and small publications/companies or from other associations, as well as ADAM members and speakers. ADAM organizes and facilitates educational webinars for ADAM members and non-members. The webinars are a live one hour session with a speaker presenting a PowerPoint via an online meeting tool that is both verbal and visual. Participants have the opportunity to ask questions in real time as well as answer polls relevant to the presentation. Headquarters also offers the recorded version of the webinar for purchase on the ADAM website. Members receive a discounted price for both in-person, $99, and recorded webinars, $40. The Association uses webinars as both a member benefit and educational opportunity. Go to Upcoming Events for live webinars and Quick Links for recorded webinars. Invest in Your Practice. Join Today!